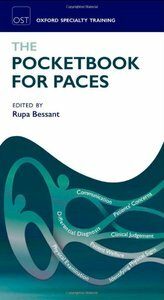 This book provides an easily portable yet comprehensive guide to the PACES examination. It includes all of the most relevant clinical information for the PACES exam supplemented by tips supplied by the highly experienced chapter authors. The main aim of the book is to consolidate candidates' theoretical knowledge and help them apply it to the clinical examination scenario. In addition the book forms an excellent pocket reference for trainees in acute medicine, accident and emergency medicine, anaesthetics and critical care and general practice.